CEBU. UC graduate Jennylou Zamosa Capino is the only one from Cebu to barge into the Top 10. 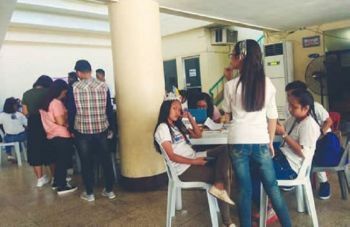 A CEBUANA made it to the Top 10 of the Customs Brokers board exam held in Manila, Cebu and Davao in the country over the weekend. 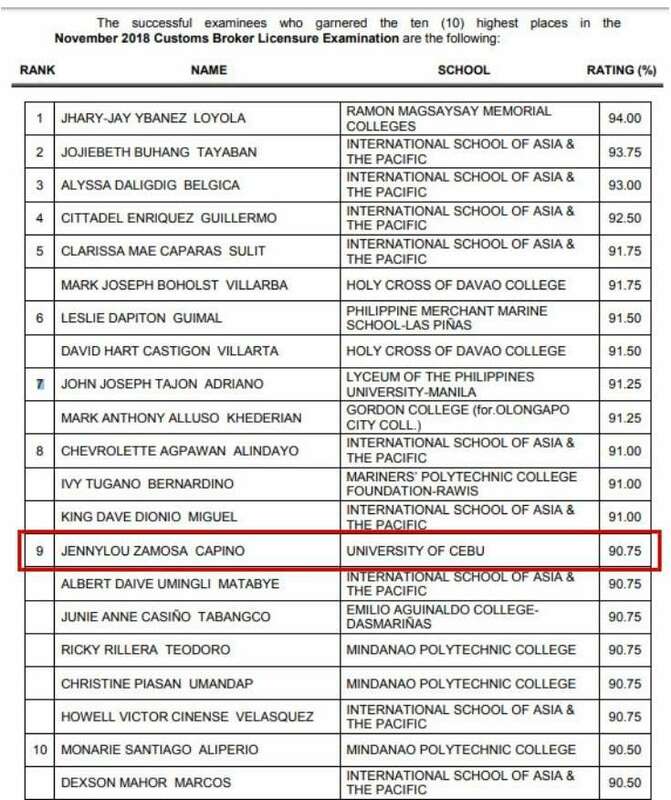 Jennylou Zamosa Capino of the University of Cebu finished ninth in the exams that saw 1,266 passers out of the 2,478, who took the exam. Capino shares the ninth spot with five other examinees with identical 90.75 passing rates. Ramon Magsaysay Memorial Colleges' Jhary-Jay Ybanez Loyola topped the exams with a 94 percent passing rate.